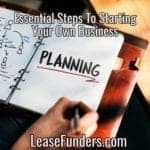 As a small business owner, you need a steady flow of working capital to help fund expansion and growth, including hiring new employees, buying or leasing equipment, ordering bulk materials in advance of manufacturing goods and other business building activities. Unfortunately, if you are like a lot of entrepreneurs, you probably have average or bad credit, and bank loans are tough to obtain, even if your credit is fantastic. You might find yourself asking, is there any kind of bad credit business financing available to help my company advance to the next level? The good news is the answer to your question is a resounding YES. 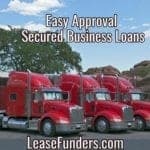 This is one of our most popular bad credit business loan products. Why? Because approval for this program is NOT BASED ON CREDIT! These loans are secured by either equipment or real estate. You must ALREADY OWN the equipment or real estate. Meaning it needs to be paid off and you hold the title/deed. We do several of these deals a month. 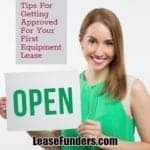 What makes it so popular is that it allows for a company to borrow large amounts on an asset, they don’t need to stop using the equipment, and its fast. If the client provides us with an application, list of equipment and 3 months bank statements. We can have an appraiser out to your location in 24 -48 hours. Once they verify that the VIN’s match and the equipment is in good working order, we can fund in 2 – 3 days after that! Our average client needs over $75,000. But we can do a small secured business loan of $10,000. When using real estate as collateral it takes a bit longer. Not all equipment can be used as collateral. It should be equipment that holds its value. The amount that we can lend against it is usually 50-75% of its auction value. Another bad credit business financing option is to obtain a revenue-based loan. These loans are dependent on your average monthly deposits. If you make regular bank deposits, the bank may offer you a loan in an amount up to 10% of your company’s annual gross revenue. The loan can be repaid a variety of ways. The most common being daily. But depending on the strength of your company, that can be negotiated to weekly or monthly. What makes this loan different from a MCA (merchant cash advance) is it’s NOT dependent on your credit card sales. This is a great option for businesses that take in a lot of cash and frequently make deposits to their business checking account. We work with a lot of laundromat owners and vending businesses with this program. 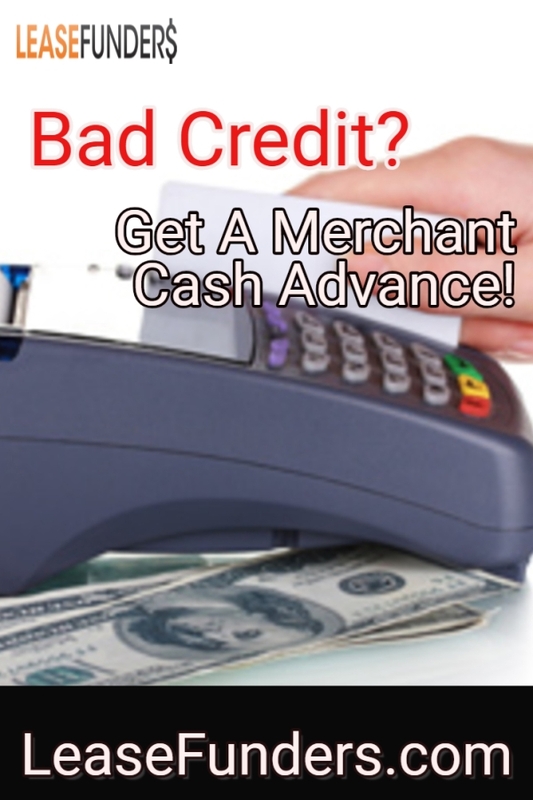 Another form of financing that is open to business owners with bad credit is called a merchant cash advance. A merchant cash advance provider offers you a certain amount of cash now in exchange for repayment from your future credit card sales. If your business has a consistent rate of credit card sales every month, a merchant cash advance might be the solution for your immediate working capital requirements. Since this form of financing is depending on your credit card sales and not your credit score its open to everyone! Yet another alternative for business owners with less than perfect credit is to try factoring their receivables. A factoring company pays you cash by purchasing your near-term receivables. This form of financing only works, however, if you have a healthy amount of receivables in your pipeline. Its based on the strength of your clients, so even if you have a recent bankruptcy you can still get approved for this type of financing. One common form of bad credit business financing is to obtain a co-signer or credit partner. A co-signer helps strengthen a bad credit deal. It can sometimes turn a NO to a YES. Sometimes the co-signer is an individual who is already a part of your firm who possesses good personal credit. But not all financing companies require a co-signer to be a part of your company. They can be friends or family with no financial interest in your company. Does your company offer an innovative new technology or product, or does it produce music, media, graphics or other art forms? If yes, give some consideration to raising working capital via crowdfunding. Websites like Kickstarter and IndieGoGo let you submit your upcoming products or projects for consideration to raise working capital through individual contributions. The individuals who fund you typically receive your product in exchange for their financial support, along with other rewards for their participation, such as autographed prints, extra media, collector editions or similar incentives. Whichever alternate form of bad credit business financing you choose, read all of the terms and conditions carefully before signing any documents. If you don’t understand or feel concerned about some of the terms and conditions, ask your business attorney and/or accountant to review the documents and provide you with advice before proceeding. Somebody actually suggested this form of bad credit business financing where one can obtain a co-signer or credit partner who can help strengthen a bad credit deal as he or she may possess good personal credit. But its kind of hard to find someone willing to co-sign. Do you have any suggestions on how to get someone to do it? Finding a co-signer is hard! But one way I’ve seen clients do it was to get close friends and family to do it and give them a contract. Or security. I had a husband and wife that gave her wedding ring to her sister to “hold” until they paid off the lease or refinanced it. I had a brother and sister that the brother added his sister as an owner on his car title. If he didn’t pay she could take the car. If you have bad credit, and your friends/family don’t feel safe in co-signing. Offering them something valuable as collateral and having a written contract can help.